 #Blackhawks .com down : UDRP by #NHL team takes 1995 #domain away from its registrant! :DomainGang #Blackhawks .com down : UDRP by #NHL team takes 1995 #domain away from its registrant! 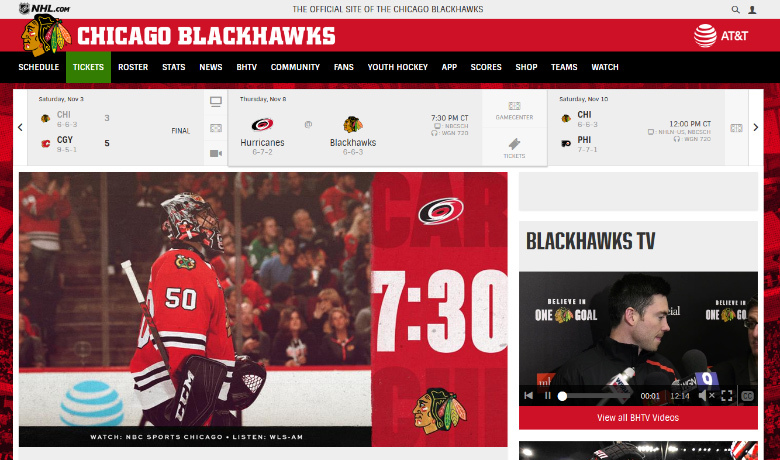 #Blackhawks .com down : UDRP by #NHL team takes 1995 #domain away from its registrant! Blackhawks.com is a generic domain registered in 1995, and 23 years later it’s lost via the UDRP process at the WIPO. Founded in 1926, Complainant is a professional ice hockey team in the National Hockey League. Complainant’s games are televised in the U.S. and abroad and are watched by millions of sports fans. Complainant owns numerous registrations for the trademark BLACKHAWKS, including U.S. Registration Nos. 893,052 (registered June 16, 1970) and 1,671,824 (registered January 14, 1992). Complainant also owns or operates a number of domain names incorporating the BLACKHAWKS mark, including <chicagoblackhawks.com> and <nhl.com/blackhawks>. Respondent registered the disputed domain name <blackhawks.com> on September 25, 1995. Currently, the disputed domain name resolves to a parked or pay-per-click (“PPC”) page featuring links to aviation, aircrafts, airplanes, etc., which notes that the disputed domain name maybe for sale. Prior to the filing of the Complaint, a representative of Complainant contacted Respondent inquiring about the possible purchase of the disputed domain name. Respondent replied stating that the disputed domain name was “a six figure name”. Alas, the Respondent filed NO RESPONSE to the motion, leading to defaulting on the case. Lawrence K. Nodine, sole panelist at the WIPO, ordered the domain Blackhawks.com to be transferred to the Complainant. Are other sports team names, such as Cowboys.com and Rams.com next? Their current owners better be careful with how they respond to such inquiries! Complainant is Chicago Blackhawk Hockey Team, Inc. of Chicago, Illinois, United States of America (“United States” or “U.S.”), represented by Greenberg Traurig, LLP, United States. Respondent is Moniker Privacy Services of Fort Lauderdale, Florida, United States / Jonathon Kimball, iCapital Holdings of Chapel Hill, North Carolina, United States. The disputed domain name <blackhawks.com> is registered with Moniker Online Services, LLC (the “Registrar”). The Complaint was filed with the WIPO Arbitration and Mediation Center (the “Center”) on September 7, 2018. On September 10, 2018, the Center transmitted by email to the Registrar a request for registrar verification in connection with the disputed domain name. On September 12, 2018, the Registrar transmitted by email to the Center its verification response confirming that Respondent is listed as the registrant and providing the contact details. In accordance with the Rules, paragraphs 2 and 4, the Center formally notified Respondent of the Complaint, and the proceedings commenced on September 14, 2018. In accordance with the Rules, paragraph 5, the due date for Response was October 4, 2018. Respondent did not submit any response. Accordingly, the Center notified Respondent’s default on October 5, 2018. The Center appointed Lawrence K. Nodine as the sole panelist in this matter on October 18, 2018. The Panel finds that it was properly constituted. The Panel has submitted the Statement of Acceptance and Declaration of Impartiality and Independence, as required by the Center to ensure compliance with the Rules, paragraph 7. Complainant asserts that the disputed domain name is virtually identical to Complainant’s registered mark as it consists of nothing more than the BLACKHAWKS mark and a “.com” generic top-level domain (“gTLD”). According to Complainant, Respondent has no rights or legitimate interests in the disputed domain name because Respondent registered the disputed domain name without Complainant’s permission even though it is not known by the name and is neither using nor preparing to use the disputed domain name in connection with a bona fide offering of goods and services. As to Respondent’s bad faith registration and use, Complainant argues that Respondent’s awareness of Complainant’s rights is clear from Respondent’s wholesale incorporation of Complainant’s mark into the disputed domain name. Moreover, Complainant contends that Respondent’s use of the disputed domain name, which is confusingly similar to Complainant’s mark, to divert traffic to its PPC website for its own commercial benefit constitutes bad faith, as does the fact that Respondent seeks to sell the disputed domain name for “six figures[s]”. Complainant has rights in the BLACKHAWKS mark stemming from its trademark registrations. Because the disputed domain name fully incorporates the BLACKHAWKS mark without addition or alteration, the Panel finds that Complainant has satisfied paragraph 4(a)(i) of the Policy. Complainant has made a prima facie case for Respondent’s lack of rights and legitimate interests in the disputed domain name, which Respondent has failed to rebut. The links on Respondent’s website do not lead to information about Complainant’s famous team or to ice hockey or sports sites. Instead they lead to aviation and helicopter sites, in an apparent effort to exploit the similarity to the BLACK HAWK helicopter trademark. This is not a bona fide use of Complainant’s BLACKHAWKS mark, which is plural. Apparently Respondent wants us to believe he is making a bona fide use of a different mark – the famous Sikorsky BLACK HAWK helicopter trademark. But this sleight of hand only deepens the conviction that Respondent is conniving. Because the links lead to competitors of the famous Sikorsky helicopters, they would not likely be considered a bona fide use of the BLACK HAWK (note singular) mark, but, in any event, these aviation links are not a bona fide use of Complainant’s BLACKHAWKS mark. No other circumstances envisaged by paragraph 4(c) of the Policy would appear to apply, and as noted above, Respondent has not come forward to assert any claim of rights or legitimate interests in the disputed domain name. Accordingly, the Panel finds that Complainant has satisfied paragraph 4(a)(ii) of the Policy. In assessing bad faith registration and use, the key fact is Respondent’s assertion that “It’s a six figure name” when he responded to Complainant’s inquiries about buying the disputed domain name.  Complainant’s mark was well known in 1995 when the disputed domain name was registered. It is distinctive and has no obvious non-trademark value. There is no evidence that Respondent made any use of the disputed domain name other than as a parked page, a fact which undermines any claim of reliance or prejudice based on the passage of time. The evidence rather suggests that Respondent registered the disputed domain name in order to profit from its sale to a trademark owner, be it Complainant, or the owner of the BLACK HAWK mark (for aviation products). Respondent ignored Complainant’s demand letters. Finally, there is evidence of a pattern of abusive domain name registrations. See Telefonaktiebolaget L M Ericsson v. Moniker Privacy Sevices / Jonathan Kimball, iCapital Holdings, WIPO Case No. D2011-0331 (<ericcson.com>); Campbell Soup Company v. iCapital Holdings, NAF Claim No. FA0607000743681 (<campbells.com>); Canali Ireland Ltd. V. iCapital Holdings c/o Jonathan Kimball, NAF Claim No. FA0706001007962 (<canali.com>). The Panel, thus, finds that Complainant has satisfied paragraph 4(a)(iii) of the Policy. For the foregoing reasons, in accordance with paragraphs 4(i) of the Policy and 15 of the Rules, the Panel orders that the disputed domain name <blackhawks.com> be transferred to Complainant. So the Respondent lost because he didn’t file a response? And if he filed a response, he would be very likely to win?